SquareWine & Spirits is Long Island City’s go-to spot for fantastically priced and fastidiously selected wine and liquor. 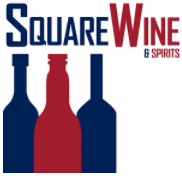 SquareWine & Spirits opened its doors at 24-20 Jackson Avenue, in the heart of Court Square, in 2011 and has grown alongside the effervescent community that we serve. We pride ourselves on our large selection of local New York State and international products and knowing our customers’ tastes as well as our own. We constantly keep our store stocked with the latest, the greatest, the most unique, and the most delicious. We can accommodate any budget or palate, and with free delivery, we can accommodate you anywhere in New York City.